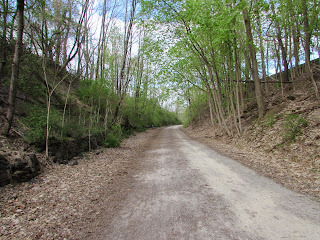 Today we visit the Saucon Valley Rail Trail, in the Bingen area, between Hellertown and Center Valley. Bingen is a very similar village to Center Valley, which we went in depth with in this article. This unincorporated village is a little bit smaller than Center Valley, but the infrastructure of the village remains a little more intact, with the town's road bridge remaining intact with great preservation efforts. Bingen started off as an iron town, with a small iron works and multiple lime kilns and brickyards. 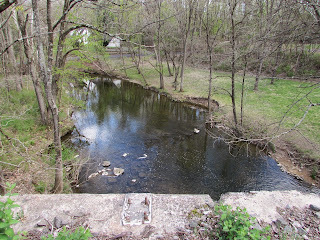 Much of the zinc was taken right from the Friedensville Zinc Works only two miles up stream on the Saucon Creek. The Directory of Iron and Steel Works from 1896 lists the Bingen Furnace of the Bethlehem Iron Company (later Bethelehem Steel) as having been built in 1870. This Railroad Gazette from 1897 lists the furnace being closed that year. The North Pennsylvania Railroad dates back to 1852. Construction commenced then and lasted until 1855. 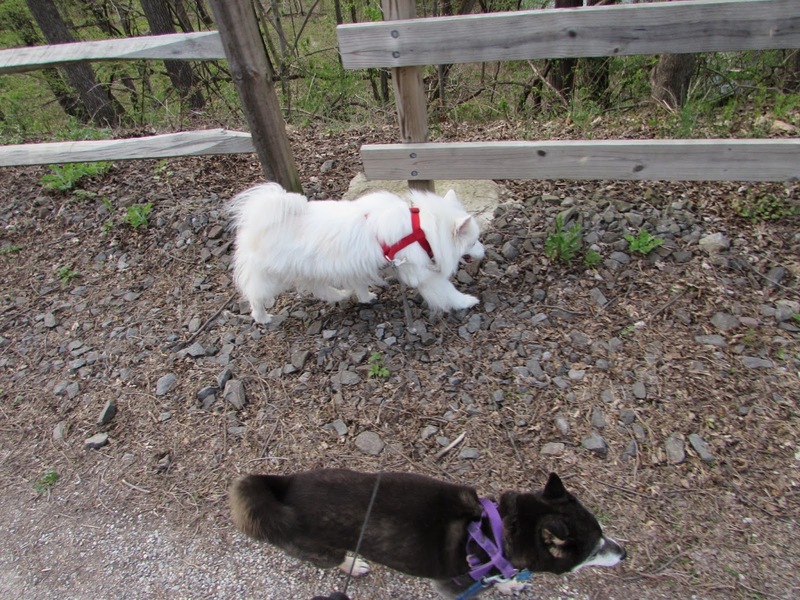 The terrain is said to have been much more rocky than anticipated. 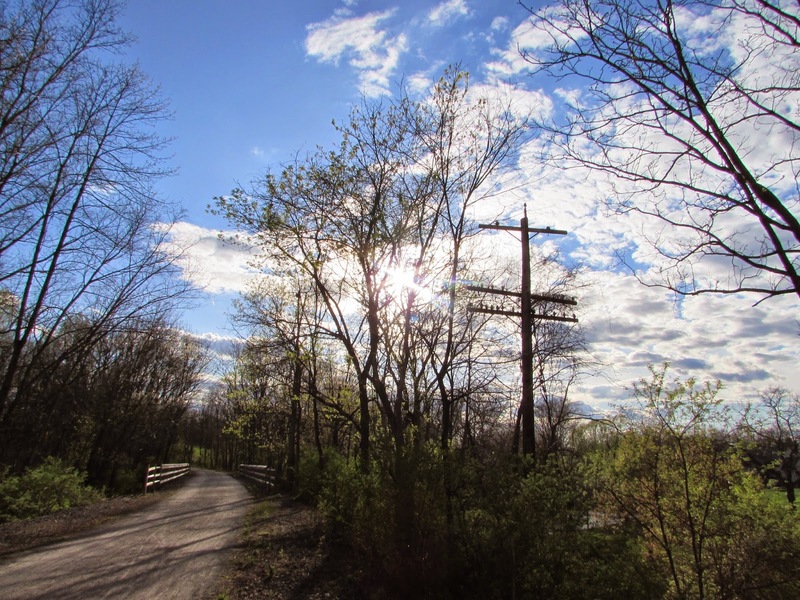 The rolling hills of Bucks County and the more mountainous areas of the Lehigh Valley proved to be quite difficult with construction. In 1856, only one year into operations, there was a terrible tragedy in Montgomery County, known as the Great Train Wreck of 1856, which was one of the worst railroad disasters in history, when two trains collided head on, with one of the trains packed with over 1100 people heading to a Sunday picnic. 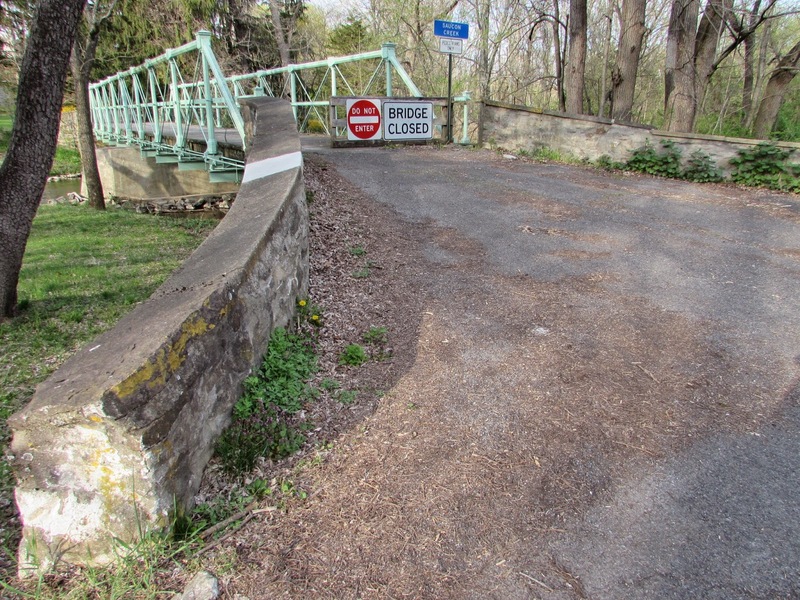 The Bingen Trailhead of the Saucon Rail Trail is the site of the former Bingen station, which is another site with an odd history. On an evening in 1899, the telegraph operator at the Bingen Station, necessary for the communications operations at each station, was not responding to the operators down the line. They sent a train to check on the station and found the operator murdered. 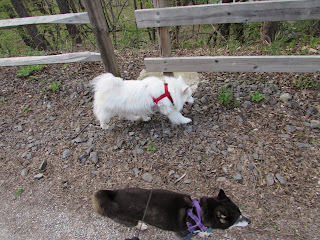 A ghost is said to haunt the area. Nothing seemed creepy to me, but those of you into that might find this area interesting. This wild cherry tree is likely near the spot where the man was killed. Maybe it is a happy ghost? 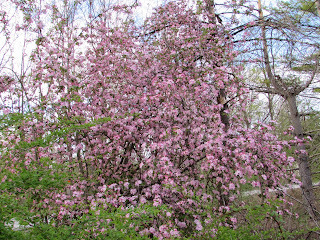 Who knows, but this wild cherry tree is beautiful. Across the tracks from this spot is the edge of the renowned Saucon Valley Country Club, a hangout for the old Bethlehem Steel executives that has played host to numerous professional tournaments. 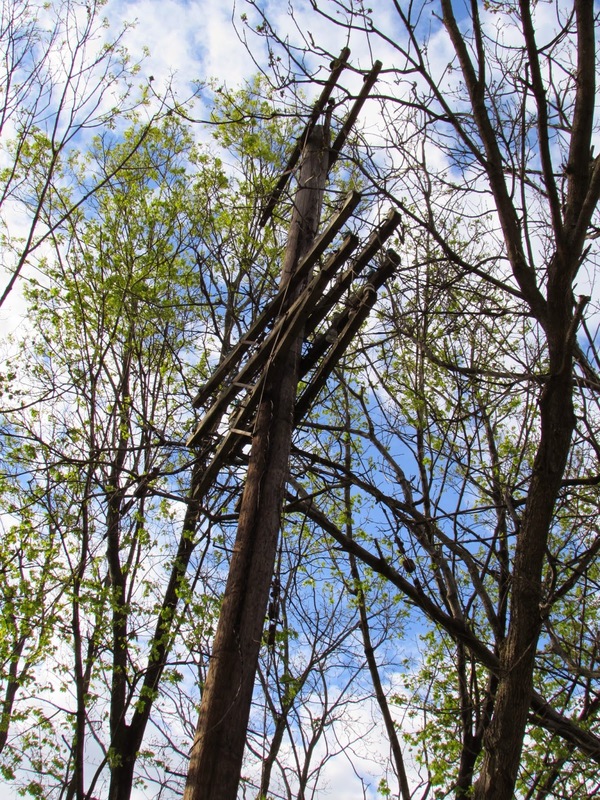 Here is one of the old telegraph poles, that nature is slowly taking back over. It is hard to believe that less than a decade ago this was a grown in and abandoned two track railroad. Now it is a popular regional rail trail and community asset once again. 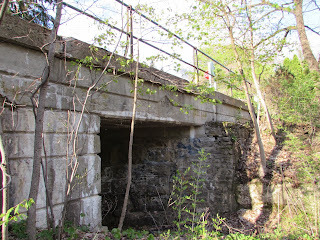 Only the northernmost section of the North Pennsylvania Railroad was fully abandoned. Up to Lansdale the rail line is utilized by SEPTA, the Philadelphia region light rail and transportation authority of the Philadelphia area. 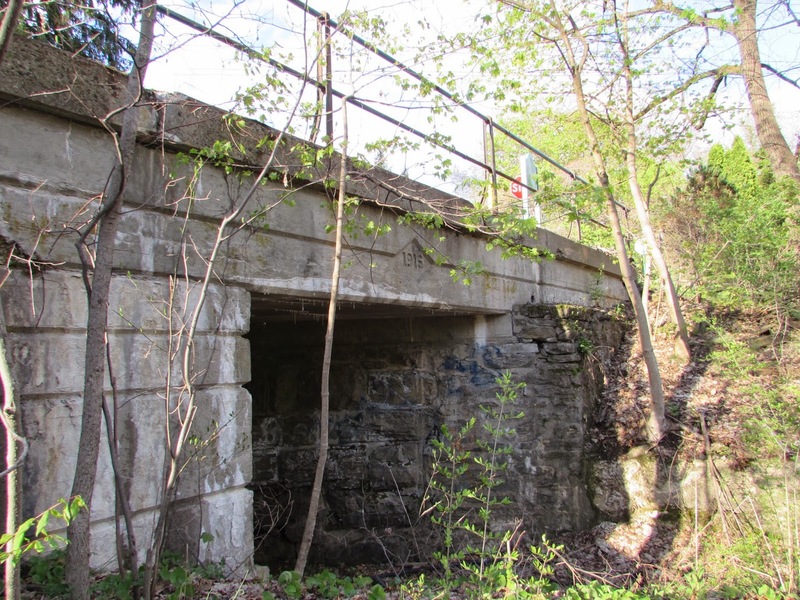 From Lansdale to Quakertown the rail sees industrial usage. From Quakertown to Bethlehem the line sat entirely abandoned since all service ended in the 1970s. As the route goes deeper into Bingen, the engineering that went into the project gets pretty intricate, between the carving out of a rocky hill, and then with the creation of multiple railroad bridges crossing the creek and low lying areas in Bingen. My bike did not accompany me this time around. 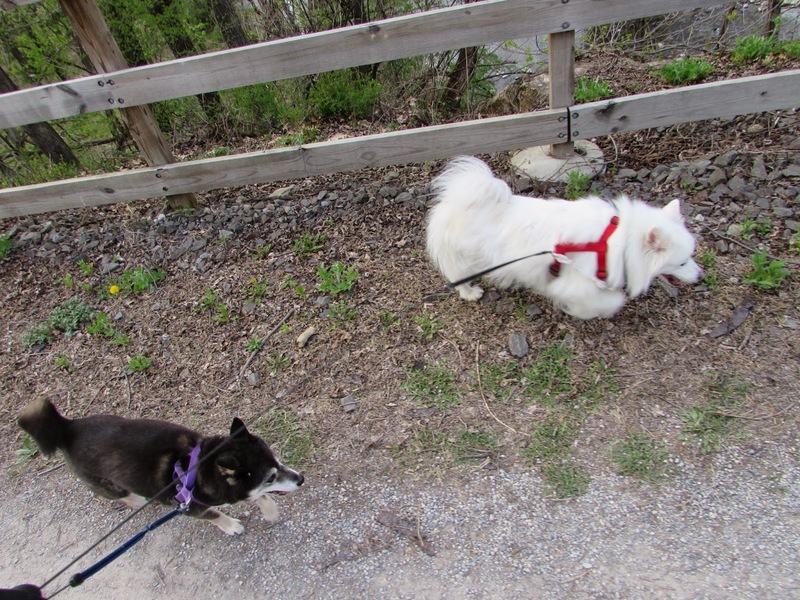 My two fluffy friends came along for the adventure. My rail schedule from 1967 for the Reading Lines Bethlehem - Quakertown - Philadelphia route does not show a stop at Bingen. 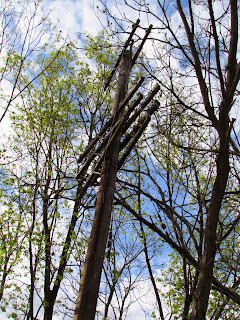 I am not sure if it was kept as a secondary stop, or scrapped altogether. 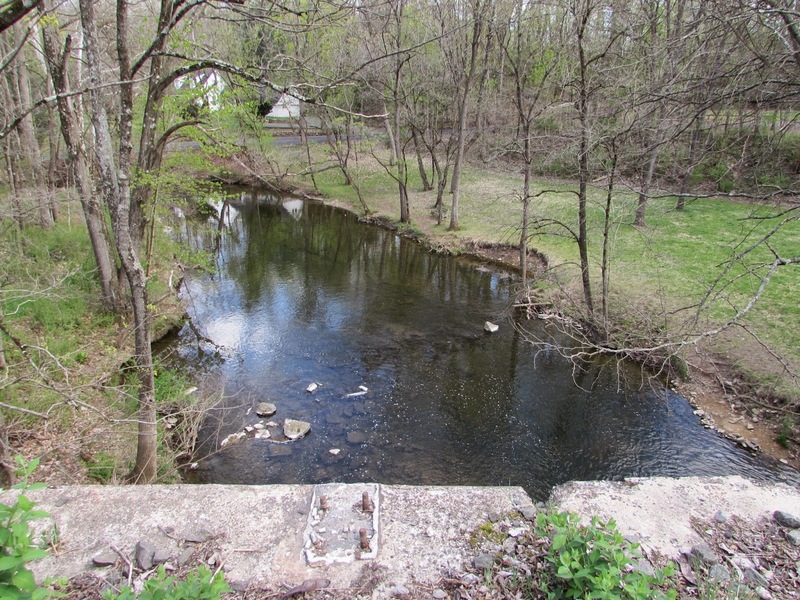 In this section there was the Erhart Grist Mill that dated back to 1749 before succumbing to fire in 1995. The stone foundation appears to be part of an adjacent private residence and utilized as some sort of patio area. If you turn right at the road intersection after the railroad crosses the creek, you end up at the Old Mill Road Bridge, a bridge that dates back to 1870 and was built to carry product in and out of the Grist Mill, connecting the Grist Mill to the village, which was also an agricultural hub in addition to an early heavy industrial hub. 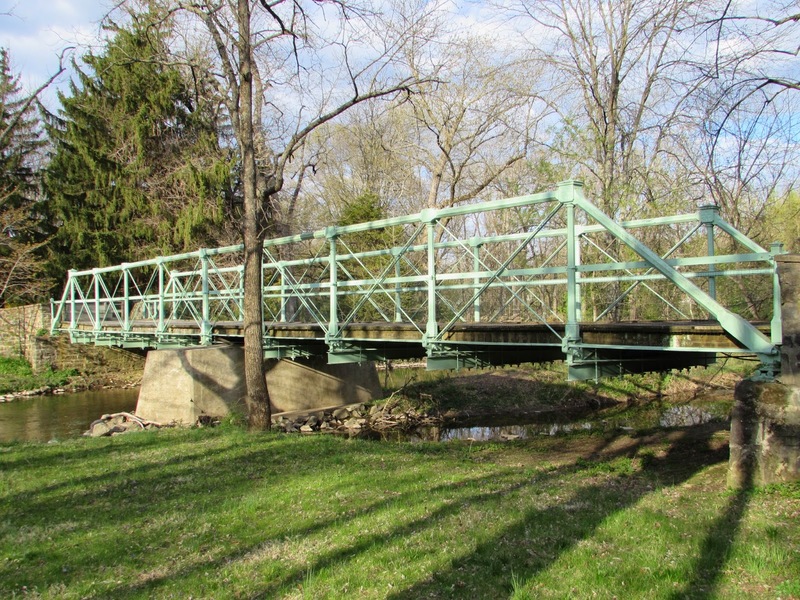 This is one of the oldest iron bridges in the nation, in addition to one of the only known cast iron compression bridges. 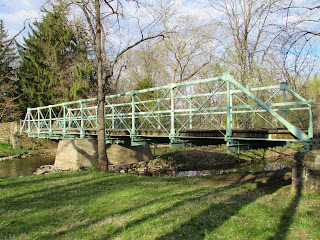 historicbridges.org has a great write up on the engineering and design aspects of this bridge. 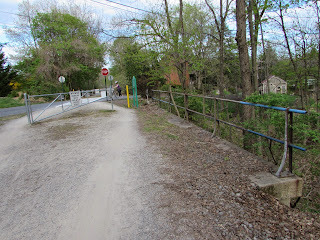 The bridge has been closed to vehicular traffic for decades, and now with the creation of this rail trail, it is finally connected to the pedestrian traffic it deserves to see. 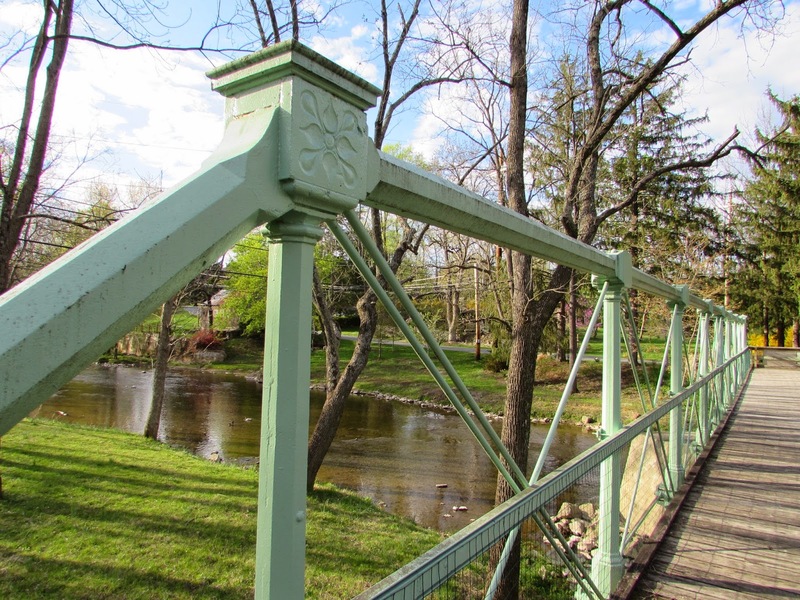 The attention to the small details on this bridge is truly beautiful. I love these floral designs. 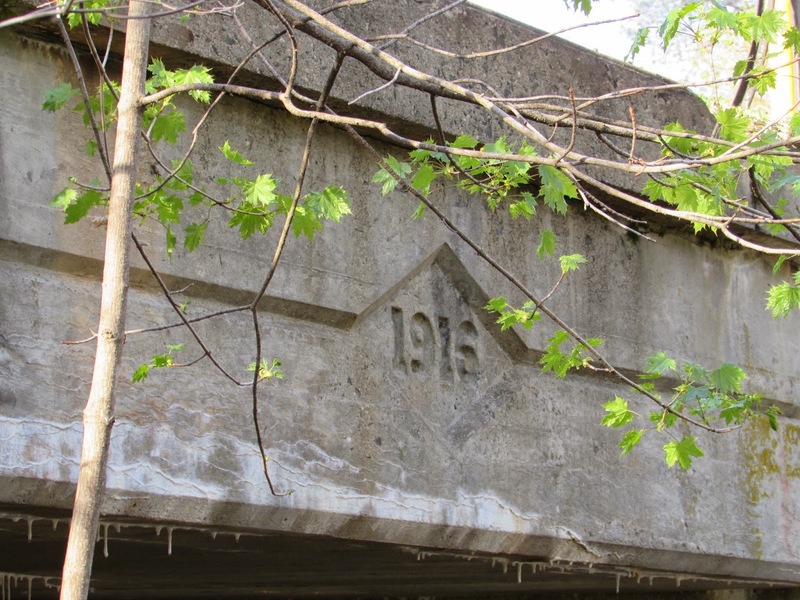 I am glad that the community saw value in preserving this bridge, as compared to the fate of the Center Valley Centennial Bridge that was from the same time period, and served a similar purpose in bringing produce to market. 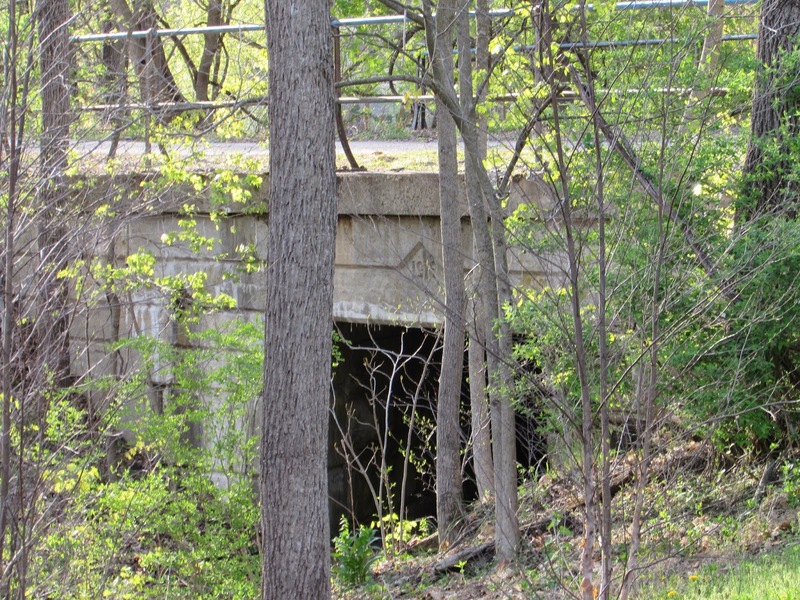 At some point these railroad bridges were replaced. They are approaching a century old. 1916. I love these rail trails. Something about this spot really calls out to me though. 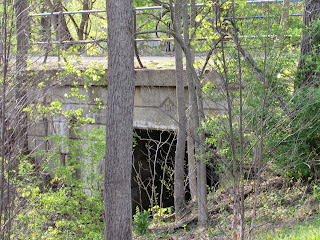 This span appears to be going over the intake channel for the old mill. This is just a guess though. 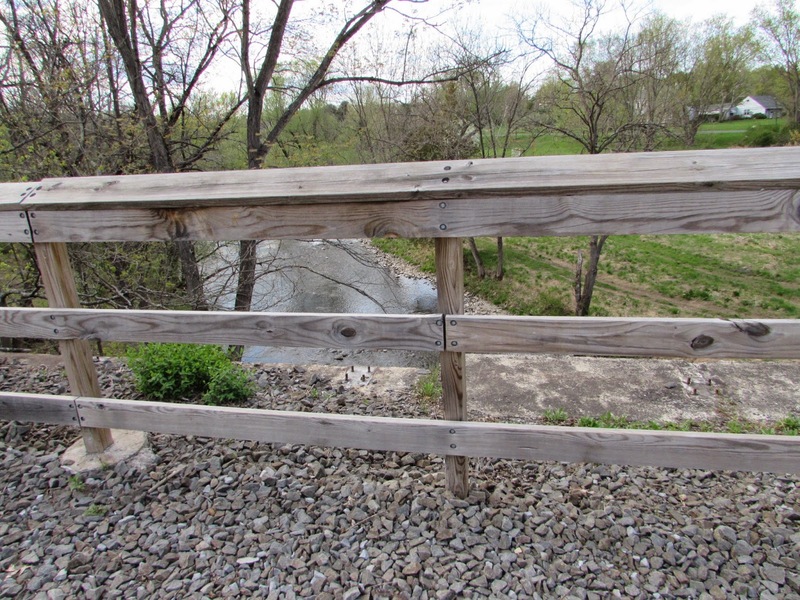 The channel is dried up, but you can tell that it was either a channel for this or drainage purposes. 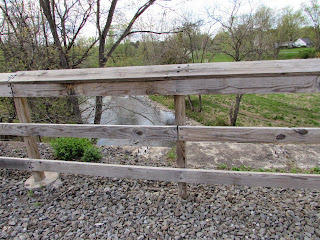 Another possibility is in the amount of creek flow. The zinc mine up stream pumped a ton of groundwater out on a daily basis and greatly increased the flow of the creek. This is just speculation though. If anyone knows for sure, please let me know. 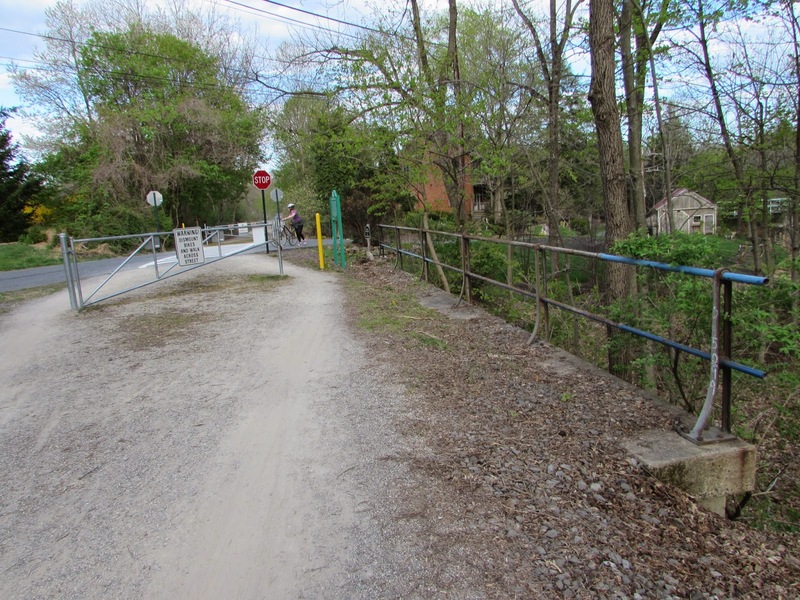 The creek bridge is only about 20 or so feet from this point. For some reason I did not take a picture of it from underneath. 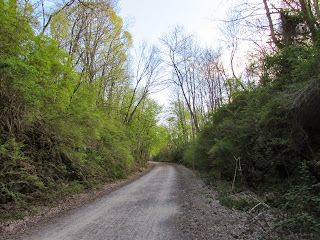 This was the first day of the year that was in the 80s and I was welcomed to this spot by the familiar cool feeling you feel as you go through a cut/partially underground into a hill or mountain. 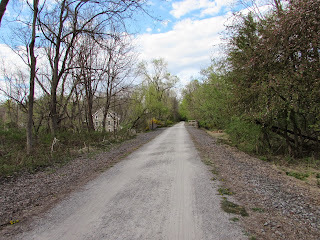 Such a refreshing feeling when you are in the heat on one of these rail trails. 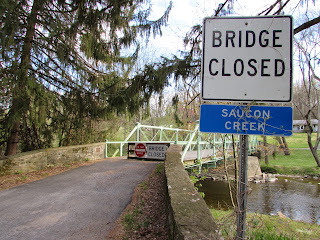 The Saucon Rail Trail is a must see for those of you that love history, outdoor recreation, and adventure. 6.85 miles are completed as trails, but connection is not too difficult to get to the Lehigh River trail that runs all the way into the Poconos, and down to the Delaware River where trails can be picked up to go north or south. 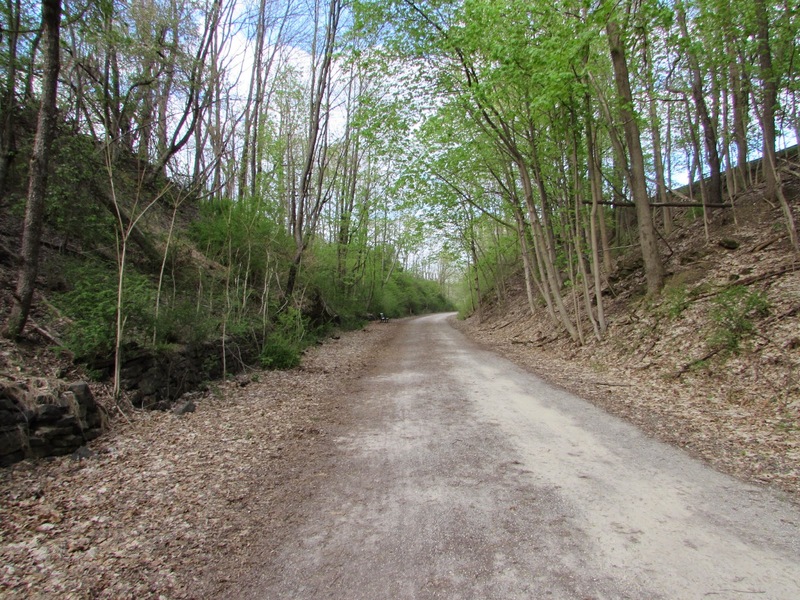 More information on trailheads and the trail itself can be found at the trail's official website.